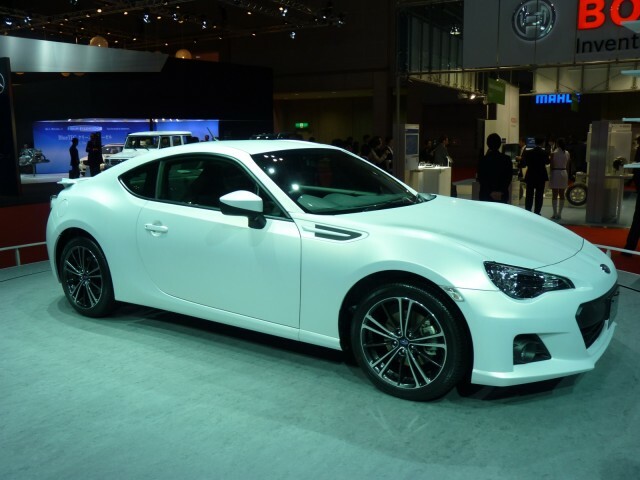 The 2013 Subaru BRZ made its international debut at the Tokyo Auto Show in Japan. The BRZ sports a lightweight design and offers nimble performance. It’s powered by the new 2.0-liter SUBARU BOXER® engine that sits lower and farther back in the engine well, enhancing the torque and handling while offering greater fuel efficiency and power. It’s light, agile and totally dialed in to the driver. The U.S. production model will be unveiled at the 2012 Detroit Auto Show. Featuring the new 2.0-liter SUBARU BOXER® engine with direct injection, a low center of gravity and a lightweight, rigid platform for excellent agility and performance. 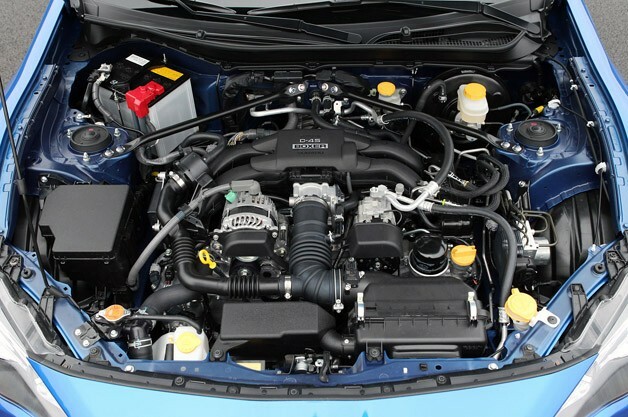 The compact design of SUBARU BOXER engine allow it to sit lower and farther back than other designs, helping to provide an exceptionally low center of gravity and sharp drictional response. Every Subaru model uses the longitudinal, front-to-back drivetrain layout found in most sports cars, Our experience with this configuration in our symmetrical All- Wheel Drive model made adapting it to rear-wheel drive seamless. Despite a displacement difference of just 3 cc, the naturally aspirated FA and FB fours have dramatically different outputs. The B’s 148 hp and 145 lb-ft of torque (as installed in the Impreza) lag 52 and 6 behind the A’s 200 and 151—Subaru’s stated output—while the A’s 7400-rpm redline is 800 higher. Thank Toyota’s fuel-injection setup, which squirts both via intake ports and directly into the cylinder—the system is Big T’s lone contribution to the engine—and allows a crushing compression ratio of 12.5:1. “Crushing” is not a descriptor we’d employ for the acceleration, although we estimate a 0-to-60-mph time of around six seconds flat with the six-speed manual; add a couple of tenths with the six-speed auto. Top speed is said to be 143 mph. A resonator pipes sound into the cabin, and above 5000 rpm, there’s enough noise inside the car that you’ll need to scream to talk. Not that you’ll be having much conversation. That said, we wouldn’t call the quality of the sound unmistakable; it could be taken for a number of undesirable things. Having heard what aftermarket exhaust companies do for other Subaru flat-fours, though, we’re confident that they can coax a better voice out of this 7400-rpm screamer. In spite of its higher output, the FA should still manage 30 mpg on the highway, according to Subaru. Underbody paneling helps keep a clean aerodynamic profile, although the company still hasn’t decided if the treatment will be standard on all U.S. cars or only on higher trim levels. As mentioned, two six-speeds are available, a manual and an automatic. Following our drive of the BRZ in Japan, the manual had us seeking a temple at which we might make an offering of thanks. The clutch pedal is a touch light—and a touch light on feel—but snaps to attention right off the floor and engages smoothly, and the thick shifter snicks between gates with ease. Heretics who buy their sports cars with automatics will at least get a good unit. There are two modes in the Subaru: Drive and Sport. Wheel-mounted paddles are standard; in D, the transmission allows them to make gearchange suggestions but still upshifts at redline and downshifts when the driver floors the accelerator. In Sport mode, however, paddle commands are gospel—the way God’s lazy, automatic-driving half-brother intended. While most of the engineering and chassis work is Subaru’s doing, the styling fell to Toyota. It apparently drew a basic coupe shape and—well, it must have seen it created something less than sultry but stuck with it anyway. It’s good enough. The view from abaft is actually fairly exciting, with the slope of the greenhouse hesitating just slightly to form a decklid before tumbling into the rear fascia. Only the front fascia, badges, and maybe wheels separate the BRZ from its Toyota—and Scion—sibling. The suggestion of flares on the front fenders purely alludes to the muscular (some might say exaggerated) styling of the various concept cars, but the U-shaped view from the driver’s seat over the scooped-out hood is at least unique. Visibility in all directions is much better than most sports cars. Like every Subaru, BRZ features our fully-independent suspension design – struts at the front and adouble- wishbone layout at the rear to provide outstanding stability and control,couple with stabilizer bars at each end and optimized to enhance handling and feel. 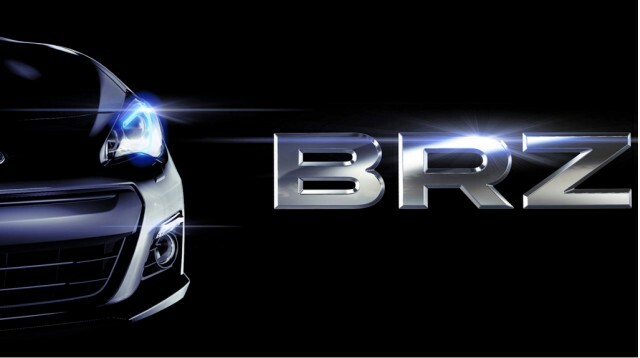 The BRZ goes on sale in spring of 2012 as an early ’13 model, at a base price we’re now told will be around $25,000. Asked to make sense of the BRZ, a Subaru representative says, “It makes sense if you sell enough of them.” In the U.S., Subaru thinks that 5000­ to 7000 per year would be enough.